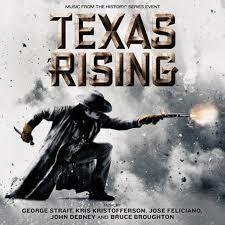 I hope you had a chance to watch “Texas Rising” on the History Channel over the last month and a half. It was entertaining. I know that some characters in the series were fictional or their stories were highly fictionalized, so this summer I will try to find the real stories of their lives, starting with Emily D. West, Jack Hays and Erastus (Deaf) Smith. I was also intrigued by Juan Seguin and the other Hispanic residents of Texas who fought with Houston against the Mexican Army. These were my takeaways from “Texas Rising.” I am grateful to the History Channel for the project, but the armchair historian in me always appreciates the real stories behind the fictional ones. I enjoyed the series. Having grown up in Texas most of my life, I took Texas history in the 7th grade, and I remembered a lot of it. For the most part, the series got it right, but the fictionalized parts are understandable — there are a lot of details left out of history books. I have also been enjoying the “A.D.” series on NBC — it does a lot of adlibbing too, but generally it gets it right. I hope you are going to comment on “A.D.” if you are not working on it already.